The Sivel Group offers the highest level of personal service, superior technology and unrivaled knowledge of the area’s finest homes and sought-after neighborhoods. Tucked away in a gorgeous, private and secluded location bordering 300 permanently preserved acres sits this beautifully updated and expanded home. The original section of the home dates to the 1860s, while an eloquent addition and renovation in 2003 seamlessly blended the old with the new. This exceptional home has been lovingly updated by the current owners, while still highlighting the gorgeous original details such as hand carved millwork, pocket doors, picture rails, deep windowsills and leaded glass windows. Curb appeal abounds in this center hall stone colonial, on a tree-lined street in a fantastic walk-to-everything location in the heart of Chestnut Hill. This exceptional home is set back on a deep lot with mature landscaping, off-street parking and two car garage. One-of-a-kind location, one-of-a-kind house, "Andorra House," is an exquisitely updated center hall stone Colonial nestled in one of the area's most desirable locations. Located just steps from the Northwestern end of historic Forbidden Drive and offering exceptional access to both the wonderful amenities of Chestnut Hill and the Wissahickon Valley. As you enter the tiled vestibule of this amazing home you are immediately struck by the incredible design, architectural detail and stylish finishes; such as: soaring 10' 9" ceilings, custom wide plank oak flooring, a custom designed staircase and railing, solid wood interior doors with lever handling and many more design details. Walk-to-everything in Chestnut Hill from this quintessential center hall Pennsylvania stone colonial set back on a quiet, tree-lined street. Generously sized rooms are showcased by the original interior details such as deep windowsills, gleaming hardwood floors, arched doorways, crown moldings and wainscoting. Tucked away on one of the most beautiful, private and secluded streets in Chestnut Hill sits this impeccably maintained custom contemporary home. Nestled against Fairmount Park, the only sounds you hear while enjoying the outside terraces and pool are the sweet songs of the local birds. Best of Lower Gwynedd. Spectacular Victorian farmhouse set on 5 acres of beautifully manicured grounds in the heart of Lower Gwynedd. Loaded with charm and original details throughout, the home has been modernized for today's lifestyle. Introducing Chestnut Hill's Premier New Address: One West, twenty distinctive residences offering a maintenance-free lifestyle in the heart of historic, vibrant Chestnut Hill. Presenting “Ropsley,” an architecturally significant, one-of-a-kind four-acre country estate designed by Mellor, Meigs & Howe in 1917, in the desirable Wyndmoor neighborhood. Presenting a perfect opportunity to customize your very own dream home with award-winning builder Guidi Homes. Set on 1.2 acres on a private cul-de-sac in an ideal location in the Radnor Township School District. A rare opportunity to own this stunning Center Hall Georgian Colonial by the great Philadelphia architect John Hall Rankin (1868-1952), who designed and built it for his private residence in 1904. Gorgeous original details throughout are complemented by the improvements made by the current owners. This elegant estate home situated on 1.76 acres in Lower Gwynedd is rich with history. If you are looking for the perfect blend of historic charm and the convenience of modern day amenities, then look no further. Breathtaking panoramic views, well equipped barn, pasturage, fenced paddock, Olympic sized lap pool with separate hot tub, expanded patio, driving range, putting green, pond, horseshoe pits and that’s just the outside. A unique and versatile property in Towamencin Twp. One of the finest, most prestigious addresses in Philadelphia, this gorgeous 2,115 sq ft custom condo is set on the 37th floor of The Residences at The Ritz-Carlton and offers panoramic views across the city. No expense was spared in this state-of-the-art, completely upgraded and totally automated condo. This incredible property enjoys a beautiful, private location bordering Pastorius Park. Designed by H. Louis Duhring, this handsome 6+ bedroom home offers beautiful original architectural details including a stone entry way, multiple fireplaces, hardwood floors and hand-carved woodwork. The Sivel Group is pleased to offer luxurious new construction properties in sought-after locations in the Greater Philadelphia Area. Whether building the home of your dreams with the builder of your choice, or partnering with one of our award-winning custom builders, The Sivel Group offers an array of developments and ground to fit your needs. Northwest Properties is a collection of new construction townhomes in East Mount Airy, in the northwest section of Philadelphia. All of the homes will average around 2700 square feet, with 3+ bedrooms, 2+ full baths, and will feature energy-efficient systems and smart home technology. The Sivel Group presents three exceptional home sites in one of the loveliest settings in Blue Bell. A rare diamond set between Camp Woods and Armentrout Preserves offers a golden opportunity to build your custom dream home now with the areas leading custom home builder. An exciting new community is under way in Wyndmoor! 10 two bedroom condominiums are set above shops to create a walkable, friendly environment. This is a one-of-a-kind opportunity for a maintenance-free lifestyle in the heart of Wyndmoor. 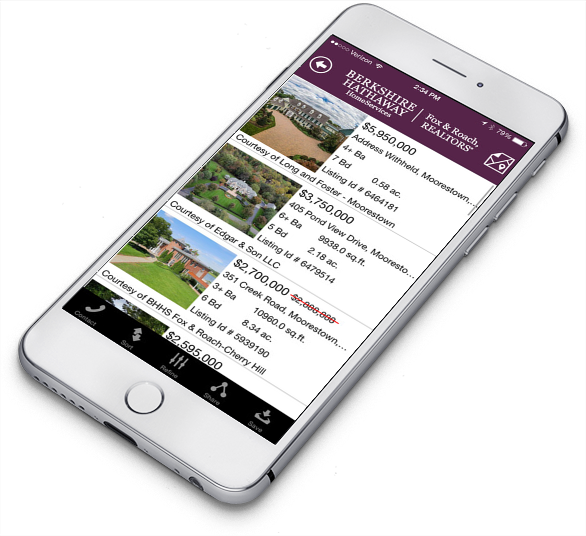 Find homes for sale that meet your specific criteria by a town, zip code or GPS search right from your smartphone or tablet.